The D-model ‘Bullfrog’ is a dedicated cargo lander, optimized for delivering cargo to the Duna surface. 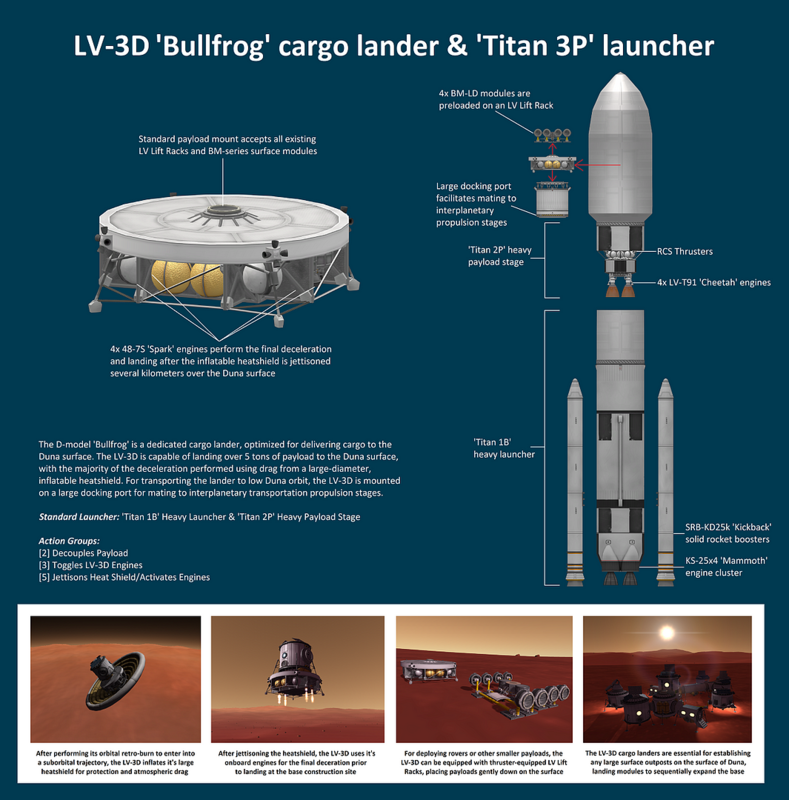 The LV-3D is capable of landing over 5 tons of payload to the Duna surface, with the majority of the deceleration performed using drag from a large-diameter, inflatable heatshield. For transporting the lander to low Duna orbit, the LV-3D is mounted on a large docking port for mating to interplanetary transportation propulsion stages.